For 10 years, Reyna Amaya and her sons have lived in their Pasadena home. "I always promised when my sons grow up, I'd buy them a house," said Amaya. Owning a home was a dream come true for her. For decades she's worked two jobs to support her family as a single mother, but a risky loan has now led them down the road to foreclosure and now eviction. "We don't know what's going to happen from one day to the next," said Amaya's son, Luis Sanchez. When Amaya refinanced her mortgage a few years ago, she opted for what's known as a 2/28 loan. For the first two years, borrowers pay a low fixed rate, then for the next 28 years, they're subject to a variable rate. When the variable rate kicked in on Amaya's loan, her monthly mortgage payment nearly doubled. She and her son looked for extra jobs but they were unable to pay the mortgage. After ten months of failing to pay, the bank foreclosed on their home and an eviction notice arrived. The final date to vacate is Nov. 24. The Amaya family has hired an attorney who is taking the bank to court, claiming predatory lending practices and violation of the truth in lending laws. 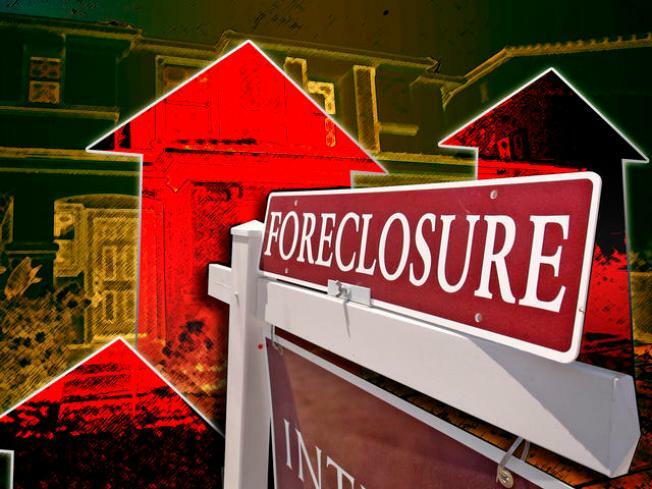 Financial experts said there are steps you can take to prevent foreclosure and eviction, but the sooner you act, the better your options. The Amaya's case will be tough, in part because they never contacted their lender to attempt a loan modification plan. Instead, they simply stopped paying their mortgage for 10 months while trying to contact their mortgage broker, who has since gone out of business. For tips on avoiding foreclousure, click here.